For those of you who haven't been introduced to this book yet, it is a non-fiction book written by 91 year old Harry Leslie Smith about the society he grew up in and how, despite improvements that were made by past governments, today's society seems to be dangerously close to returning to that of the 1930s. He discusses issues that he is passionate about, such as the number of people living below the breadline today, and highlights reasons why this is the case. I could very easily have sat down and read this book cover to cover but I purposely took my time with it so I could fully appreciate it. Harry writes about issues he is passionate about and this passion really comes through in his writing. He writes non-fiction with an incredibly fluid, easy to read voice that almost feels like fiction, making it accessible to people who do not know as much about these issues as he does. He writes about politics and history in a way that allows those who do not know much about either to gain more knowledge while writing in such a way as to allow those who are familiar with both on any level to still gain something from reading it. As a teenager with a strong interest in history, I found reading this book not only very interesting but important. I think it's important to listen to people like Harry who have lived through periods of history that we study in school so we can understand what it was like on a personal level. It's very different reading about the personal struggles of living in 1930s Barnsely to seeing figures for the number of people who were living in that type of situation. I also think it's important that my generation listen to people like Harry to understand what it was like living in those conditions and do whatever can be done to stop people having to live like that. This is one of those books that I wholeheartedly believe everyone should read. Regardless of your age, location or social class I believe you would gain something from reading this. Harry Leslie Smith wrote an article for The Guardian titled 'This year, I will wear a poppy for the last time' that you can find here if you're interested. 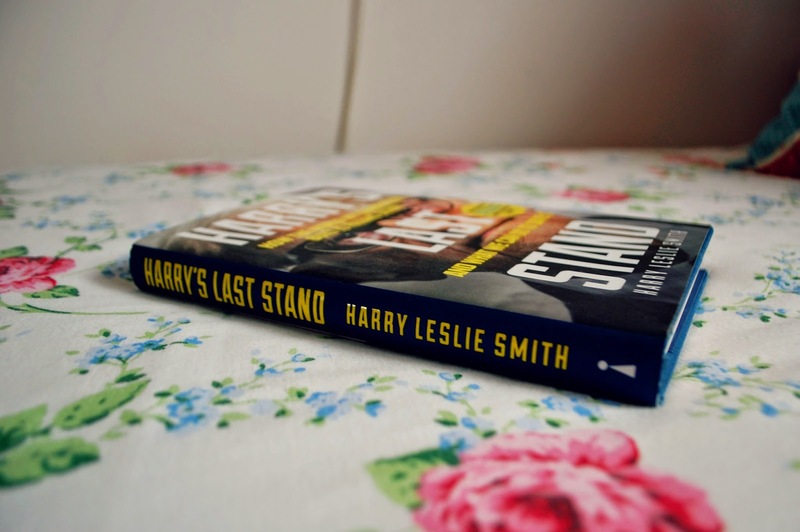 Have you read Harry's Last Stand? What's your opinion of it? I adored this book. It's vitally important that us younger generations understand what Harry's generation went through to make us realise how import it is to protect the likes of the NHS, and how we shouldn't take our democracy for granted. He's such a lucid and passionate writer. I couldn't agree more. He's a fantastic writer sharing an important message.